Seth Weil Academy is now offering Massage Therapy. We offer Swedish massage from certified professionals intended for relaxation and health maintenance. 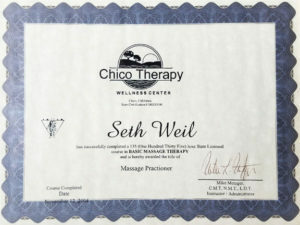 We also offer Deep Tissue Massage to affect the tissues deep within the body and restore circulation. If you would like to book an appointment today, please Contact Us.